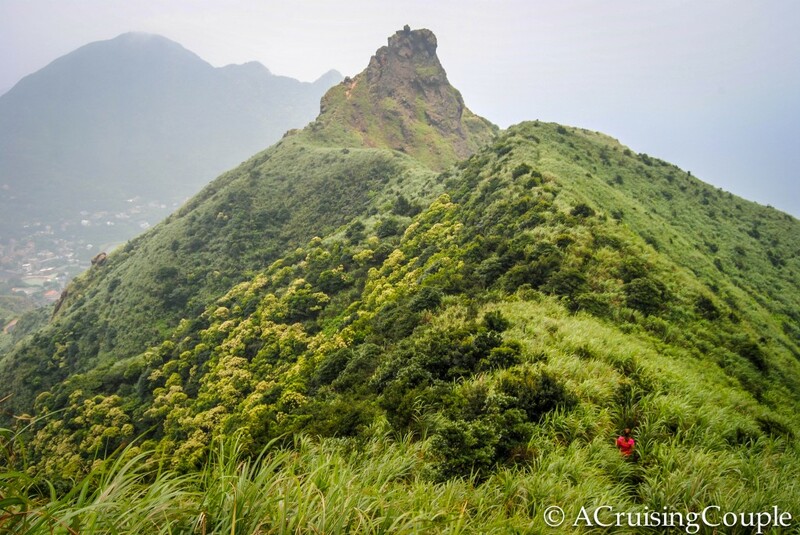 There are literally hundreds of hiking and climbing paths crossing through Taiwan’s rugged landscape. We’ve attempted a few, weather permitting, and have ultimately found varying degrees of quality and difficulty. Often ‘hiking’ equates more to climbing paved stairs, Chinese music blanketing the air via adjacent artificial rocks. Other times multiple days and a car are required to transport necessary gear and provide adequate time to complete the route. 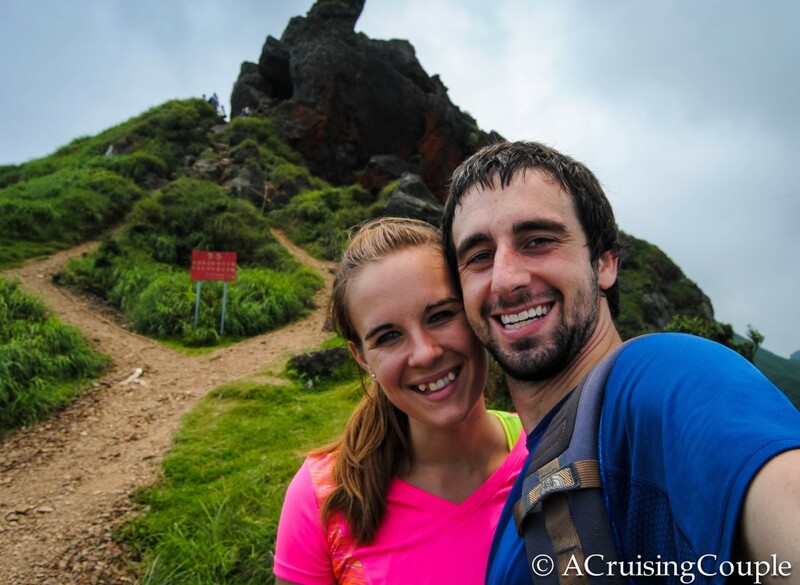 But out of all the hikes we’ve completed, both in and out of Taiwan, Teapot Mountain ranks at the top of the list. A straightforward day hike easily reached from Taipei, or even Hsinchu, the views and scenery at and around Teapot Mountain are unparalleled. The trailhead is easily reached from Jinguashi Gold Ecological Park, a free museum illustrating the old mining industry under the Japanese Colonial Era. Cut through the grounds (heading towards the rear). 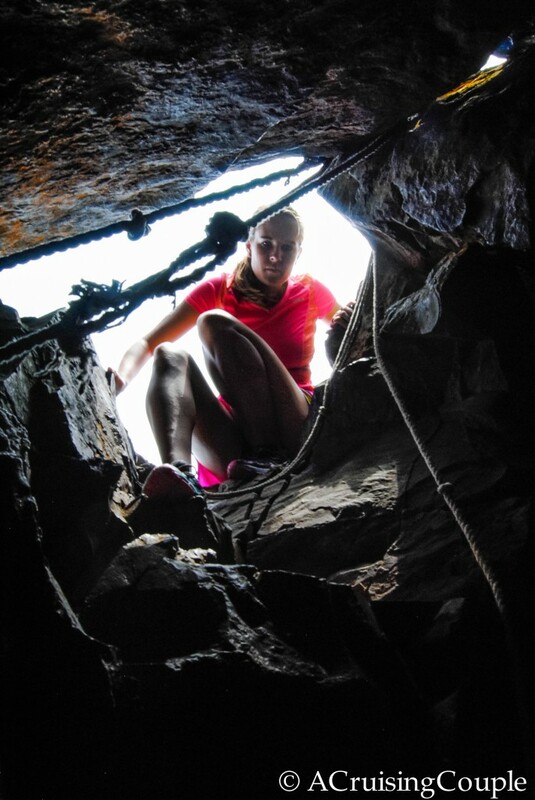 Just after you cross the mine cart tracks, the climb awaits. 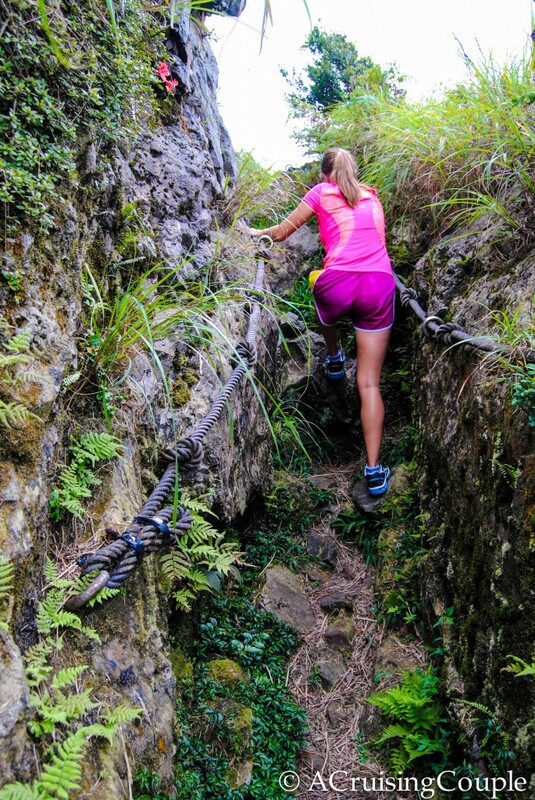 You’ll initially be met with about 2 kilometers of stairs—but don’t worry, there’s no accompanying music this time. Soon the stairs will open up to a brief stroll down a semi-flat maintenance road that will in turn lead to the signpost for Teapot Mountain (and subsequently Mt. Banping). From here on out expect rocky hiking with occasional exposed cliffs. 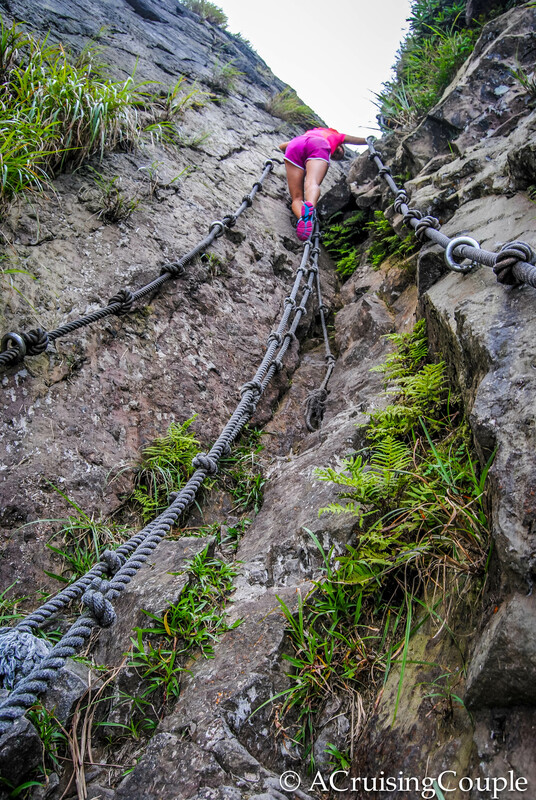 Numerous dangling ropes are in place to assist with the steep climbs and rock scrambles. 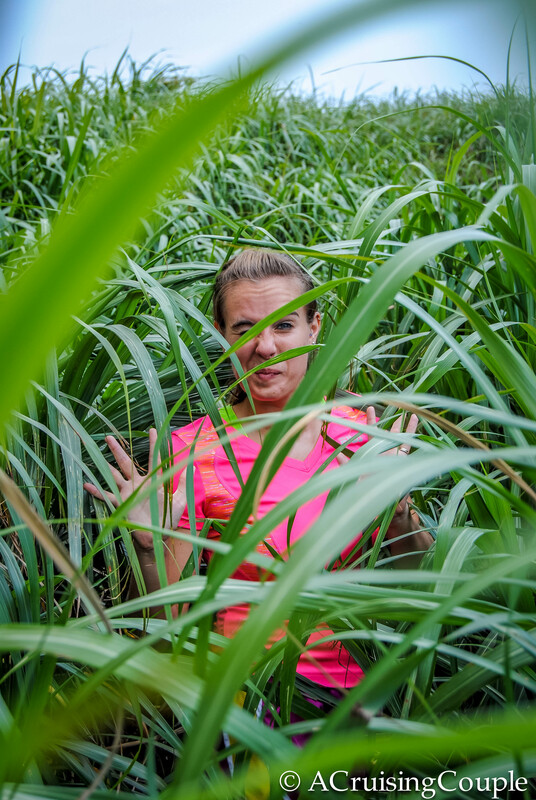 The only aspect of the hike that you might not find enjoyable is trekking through the dense silver grass. During summer months expect it to tower above your head and completely take over the skinny path. It’s advisable to wear long pants and sleeves; though both times we embarked on the hike we didn’t heed our own warnings. Luckily there were no snakes slithering out of that grass! Mt. Banping looking at Teapot Mountain. Can you find Casey? You’ll likely have a bit of company on Teapot Mountain, especially during a rare clear day. 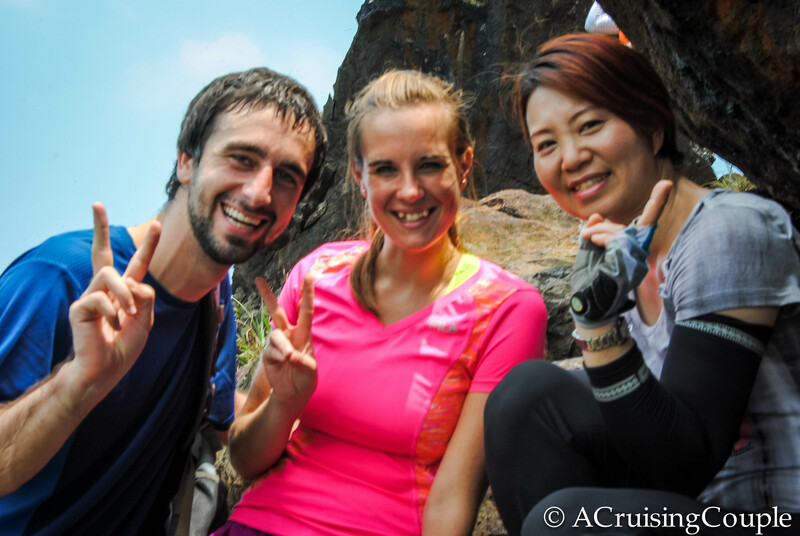 Taiwanese love to cheer on foreigners participating in outdoor activities—expect to receive advice, “jia you”s, fruit and lots of photographs! Once you’ve clamored through the Teapot itself, an easy descent awaits. Follow the trailhead back down, paying attention to the signs. 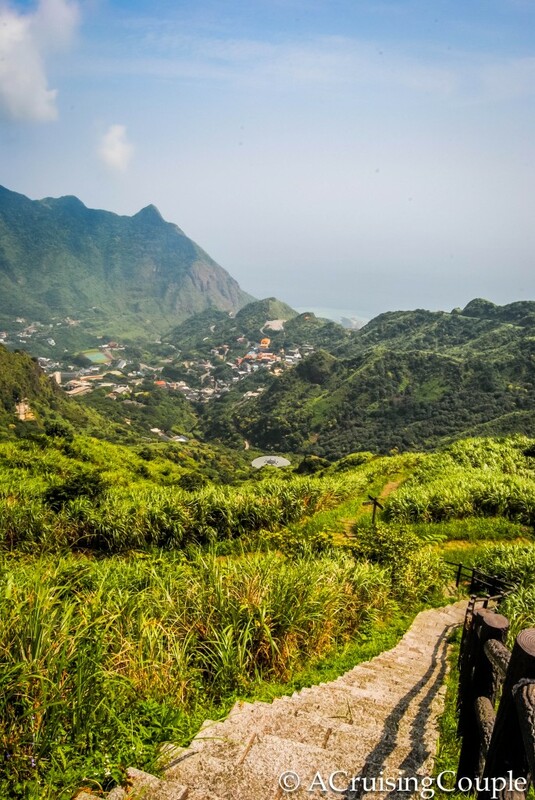 Some routes will take you to Jiufen while others arrive at Jinguashi; both are quaint towns begging to be wandered, although Jiufen is the much more touristy version of the two. 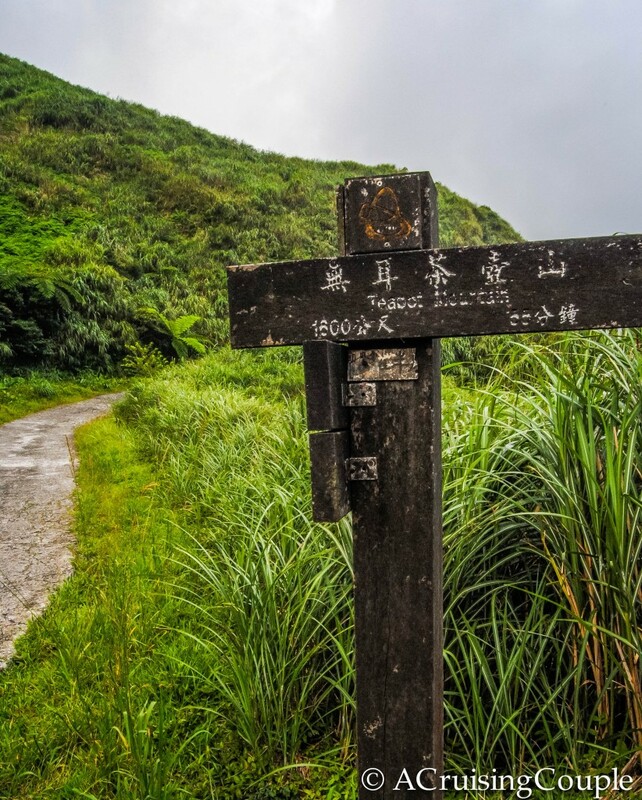 Allow 5-6 hours to complete the 11 km hike as outlined above. 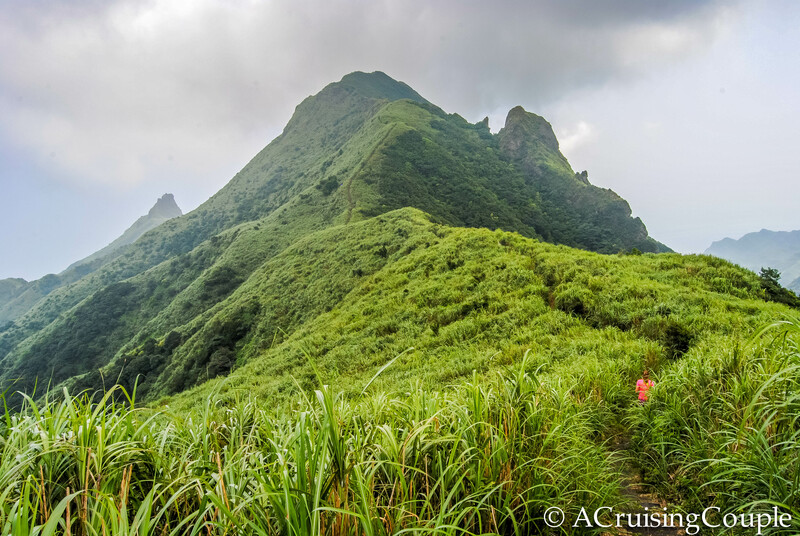 To extend the hike, include adjacent Caiguangliao Mountain. *Note: We seem to have done the hike in the reverse direction of most other hikers. Twice. From the same starting point, it is also possible to hike the Teapot first before continuing on to Mt. Banping. Not entirely sure how, but I suppose it’s all the same, right? To access Jinguashi Gold Ecological Park: Take the train to Ruifeng; From Ruifeng, exit the train station and walk left towards the police office. Here you’ll find a bus station. Ask for the frequent Jinguashi buses—the stop will let you out at the entrance to the park. 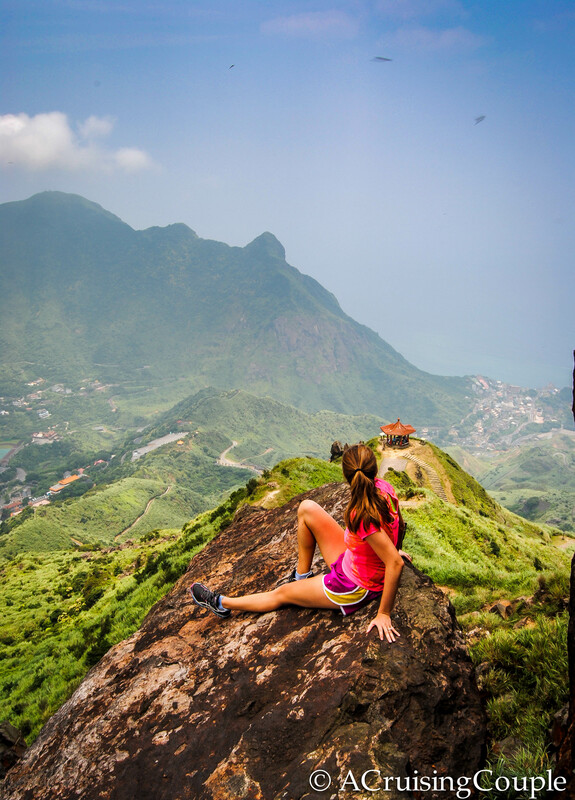 This hike is best on a clear day when the stunning views can be fully enjoyed. In the summer, allow for an early start to beat the intense heat. Purchase supplies in Ruifeng; there are few options in Jinguashi. 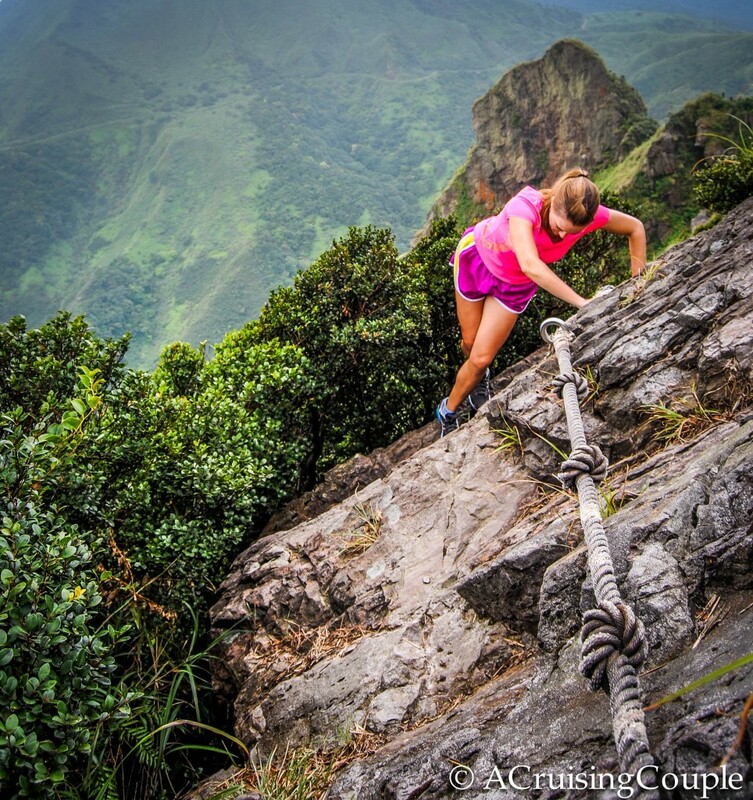 Where in the world is your favorite hike? What made it so memorable? Fantastic view in that first photo! Thank you! We definitely enjoyed it-some of the best views we’ve ever experienced! Great post guys! love the view and looks like a good work out! 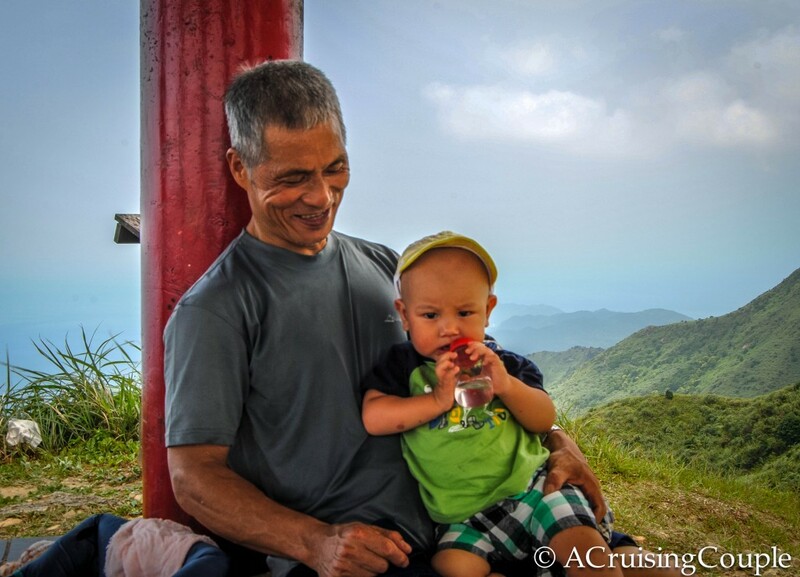 Who could resist a hike up Teapot Mountain, sounds too good to miss. Loved the pics, it certainly looks like a popular hike. After a few ill-advised & unexpected hikes in Japan we put a moratorium on hiking expeditions for the foreseeable future, but I really wish we had known about this place when we were visiting Taiwan. Granted, it was so cold, gray and rainy during the time we were there (Dec) that it probably would not have been a good time to attempt this (I admit, the fact that you need ropes for part of it freaks me out…), but we’ll definitely be back to Taiwan one day and I’d love to try it then! The view from the top truly is stunning! Steph (@ 20 Years Hence) recently posted…Chewing the Fat with So Many Places! O no! Do you have the stories on your blog? I also went on a brief hiatus from hiking after getting lost on a mountain in Ecuador… luckily I recovered! :-) There are seriously only a handful of clear days in Taiwan, and they don’t seem to come out during December. The first time we attempted the hike we could have thrown an elephant farther than we could see! Definitely give it a try when you come back to Taiwan, especially if you are here in October! I promise the ropes aren’t as intimidating as Dan made them look in the photos! What an absolutely beautiful hike! That looks like a lot of fun. It will definitely be on my to do list if I go to Taiwan. Great photos. Those rope ladders look intense! We have friends who’ve lived in Taipei and rave about their time there. They loved being in a city with close access to nature and great hiking trails like this. Shanghai is ginormous and very flat so we have to travel a considerable distance to enjoy the great outdoors. That’s one of the only drawbacks to living here. The views at the top are absolutely stunning!! I have done many hikes around the Nantou area with stunning mountain backdrops but there is something about the view of the coast that reminds me of home!! I plan to do this hike some day in the near future!!! Thanks for sharing!!! Constance recently posted…Typhoons: Then Vs. Now!! Thanks so much for the kind words! There are so many beautiful hikes in Taiwan but this one is by far our favorite. The contrast of the mountainous landscape disappearing into the ocean is quite impressive. I hope you get to see it for yourself sometime soon! I just showed my mom this post and she climbed this when she was our age like 30 something years ago! This is definitely something I want to do when we go too, it looks amazing! Is the hike 11km round trip or just one way? That’s round trip. It’s sort of like a long loop, so you don’t actually have to turn around. Which means you don’t end ‘exactly’ where you started, but still pretty close. Hi! I was deciding between a few places to hike in Taipei, and your post have decided for me. 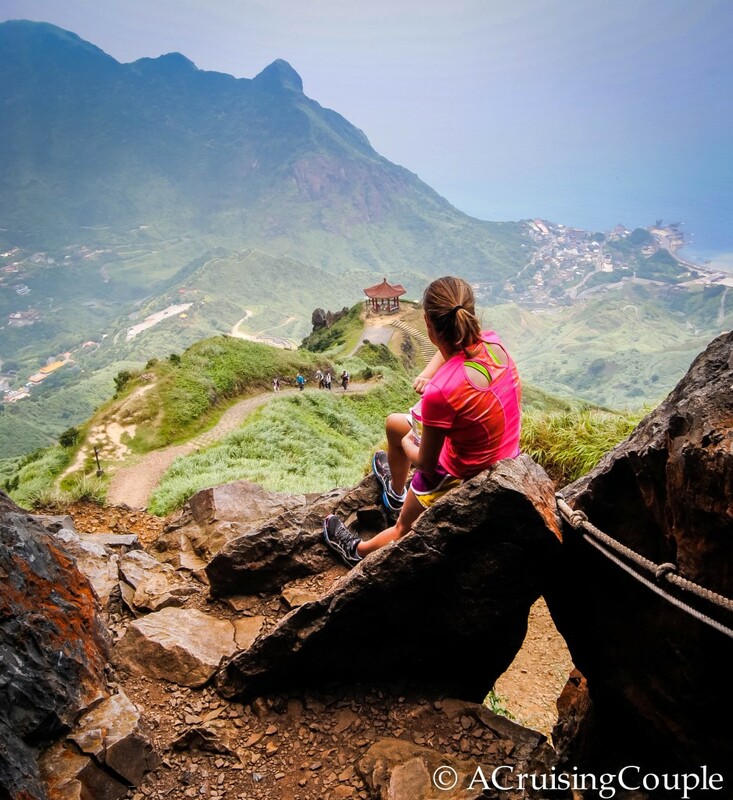 I’m planning to hike solo starting Jinguashi via teapot mountain/Baiping and end at Juifen. Will you advised against that? I went the reverse way and spent 4+hours for the loop as you suggested. It was a cooling day, the hike was pleasant and the views were stunning. Thanks for your post, it really nailed it for me. Now for the next one! I just hiked the Teapot mountain today from the opposite direction. 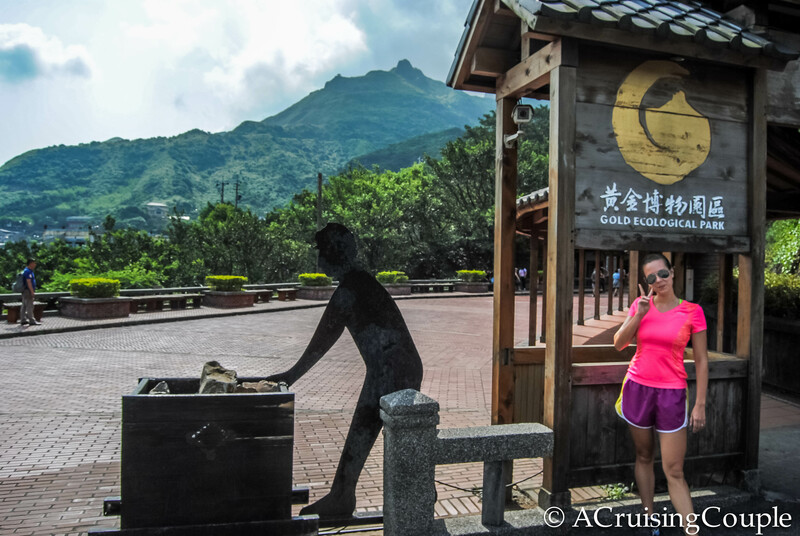 To do that, the trail head starts at the back of the parking lot of the temple Quan ji tang (勸濟堂), which is a temple with a big bronze statue at the roof top that you can’t miss. To get there, you can take the small bus 891 at Jinguashi (the first stop of the route) and the temple is at the 2nd stop, or you can just take a taxi to get there (The driver asked for 150 but eventually brought the price down to 100). From there you hike about 40 minutes to the real trail head entrance, where it takes about another 20 minutes to the teapot. Many people choose to drive to this point to minimize the hike. After you get to the teapot, just go through the teapot to the other end, and the trail toward Banping mountain begins. The bus 891 runs a cool route if you’re interested, such as the Gold fall at the 3rd stop. Eventually the bus will take you down to sea level where you can see the yellow part of the sea and then loops back to Jinguashi. Thanks for the post, we just did the hike and it was great. Didn’t take that long though, we finished under three hours. But the bus from ruifang took a long time, it was chinese new year. A lot of people in the area, but not crowded at all at the mountain. 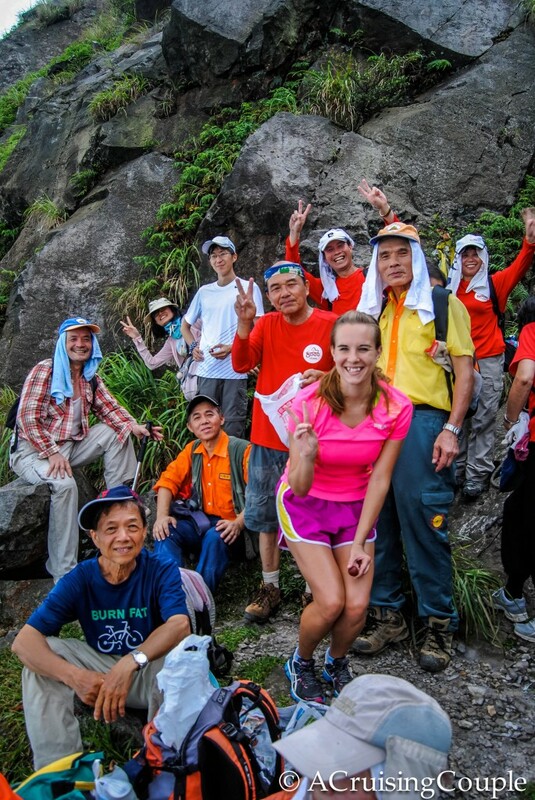 Thankfully :) do you have a second favourite hike in Taiwan? We stay in Taipei a few more days, and then head to Taichung. Thank you for your posting. Yep, one of the best hikes in town. I gave it a try for the first time last year, and I can not wait to do it again tomorrow. cheers! I did this hike a few days ago with my partner. It was raining at the bottom, and we were in the clouds the entire time after going up a quarter of the way – AND IT WAS STILL SO AMAZING!! The weather was still warm so I was in shorts and a rain jacket. We didn’t see the ocean views, but being completely surrounded by a pillow of white, hearing the ocean crashing somewhere beneath us, and birds chirping all around made it very magical. I would suggest that people DON’T back out just because of poor visibility or rain, just wear the proper footwear and a poncho or rain jacket. I can’t thank you enough for this write up and for introducing us to this hike. It was truly an experience we’ll remember forever. Hello, I’m a solo traveler. Do you think it’s advisable for me to hire a tour guide? I might be hiking Teapot mountain alone or are there other hikers too that you can hike along with just to take a risk?